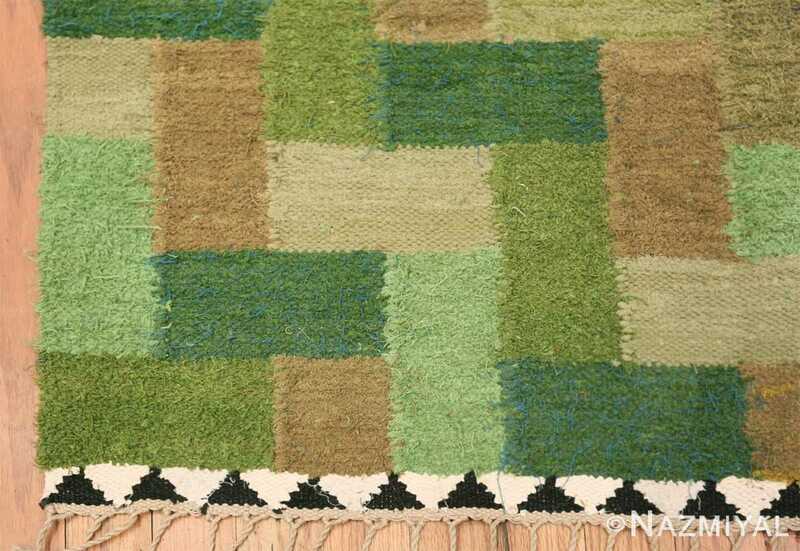 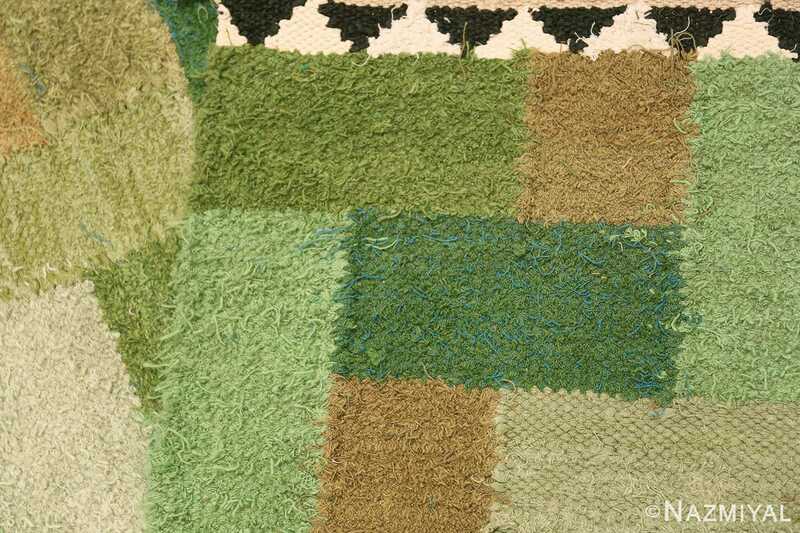 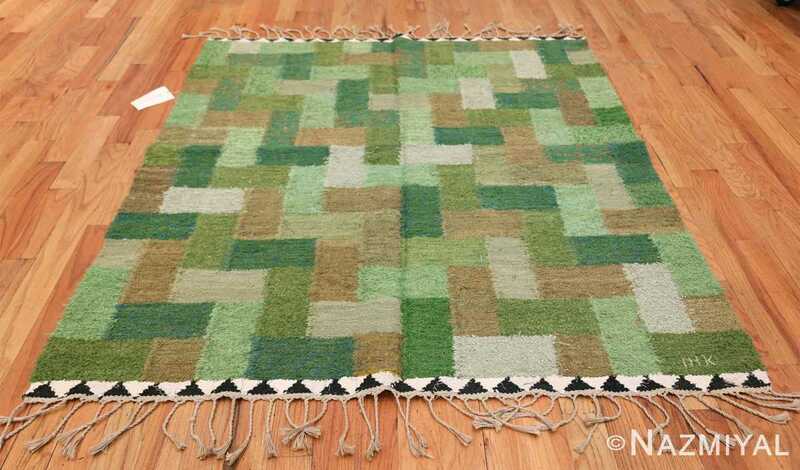 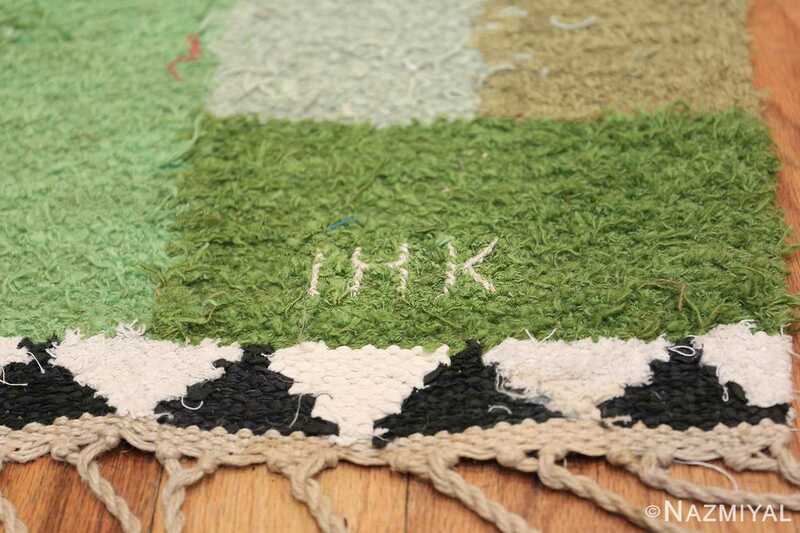 Vintage Scandinavian Swedish Rug by Ingrid Hellman-Knafve 49114, Country of Origin / Rug Type: Scandinavian Rugs, Circa Date: Mid-20th Century – True to the beautifully simplistic style of Scandinavian rugs, this exquisite piece is meant to convey an arboreal arrangement. 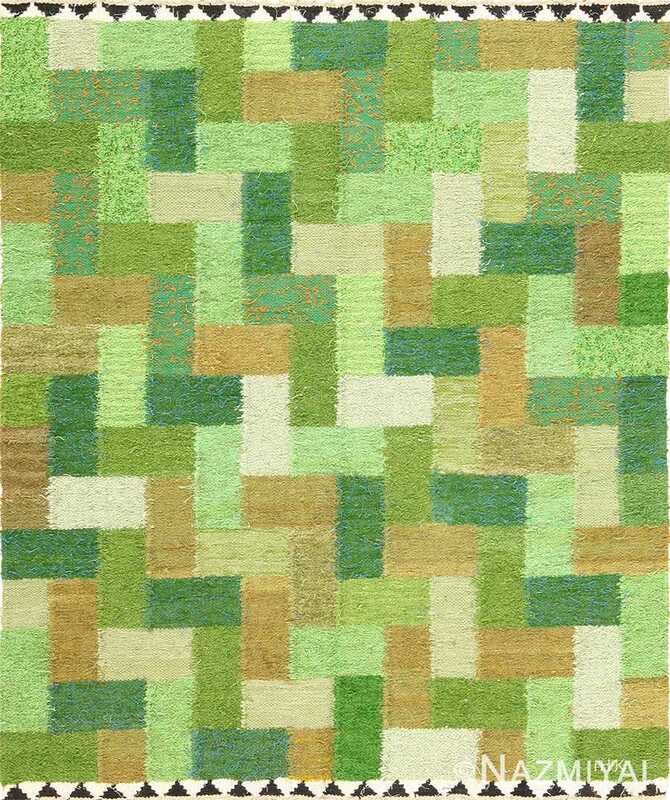 Several rectangles are arranged in horizontal and vertical bars around each other, creating the illusion of diagonal movement where the bars meet. 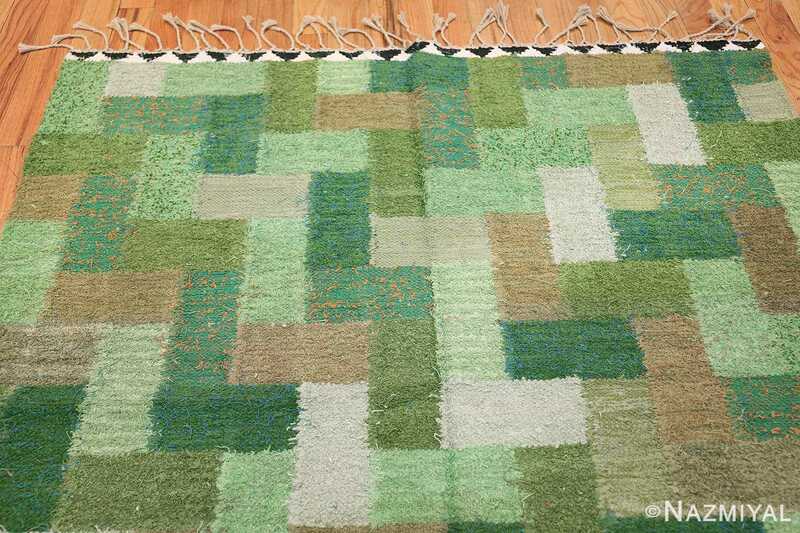 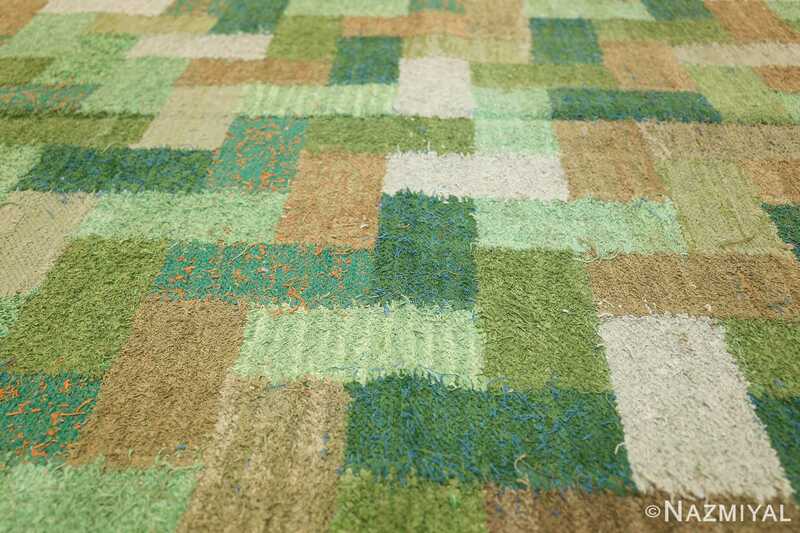 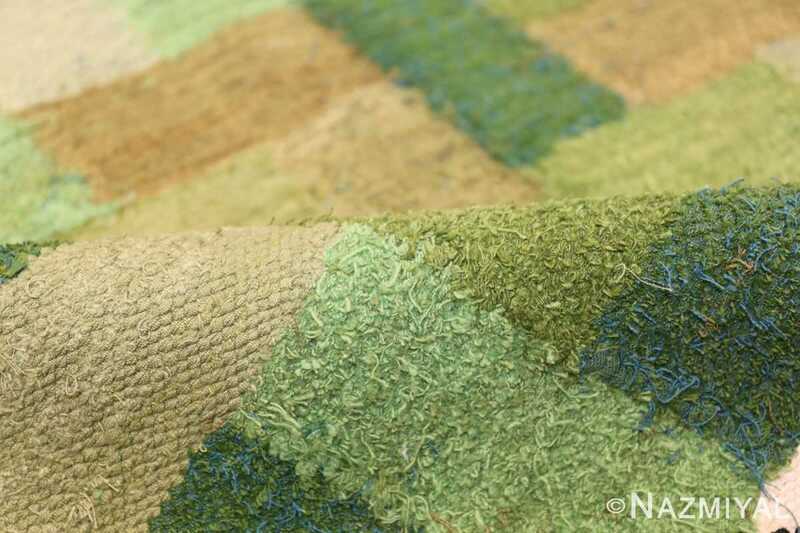 Varying shades of green stand out against lime green and coffee brown of this Swedish rug, bringing to mind images of woodland scenes and soothing, far-reaching trees. 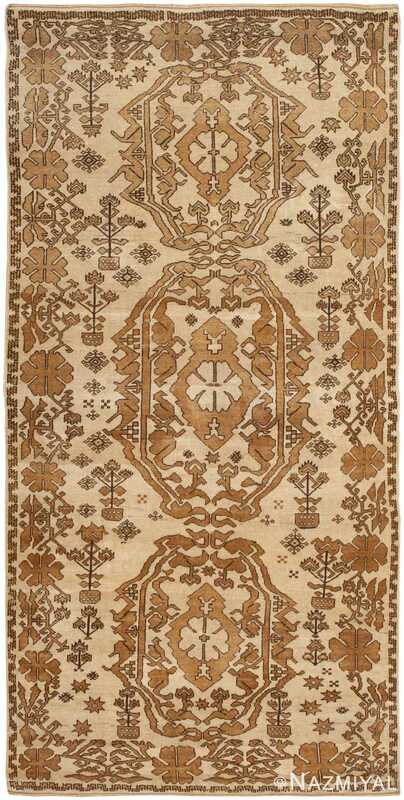 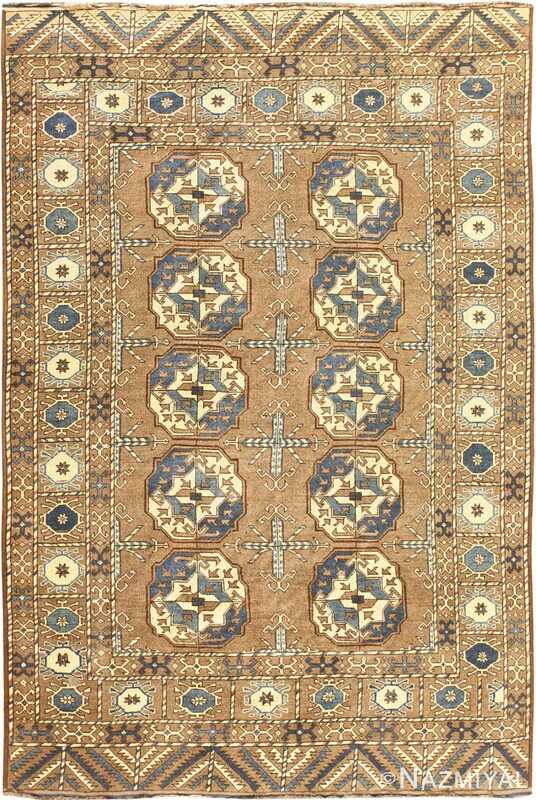 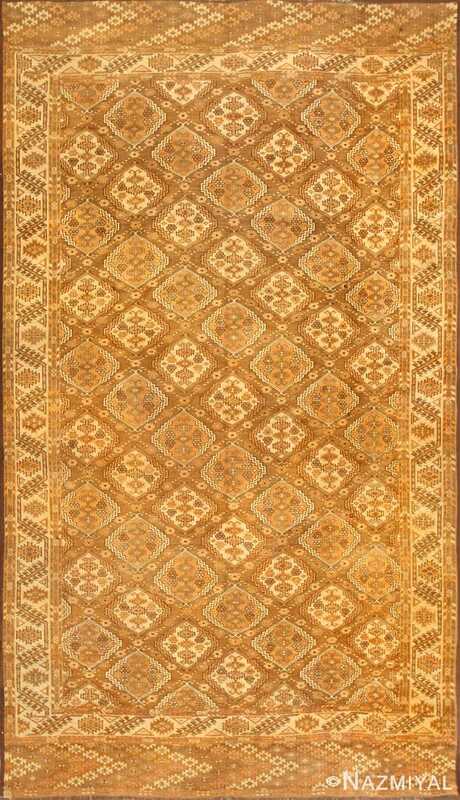 Though lacking in symmetry, this attractive vintage rug stands out through the presence of the colors, lending it a versatile simplicity that can allow it to elegantly grace just about any environment.